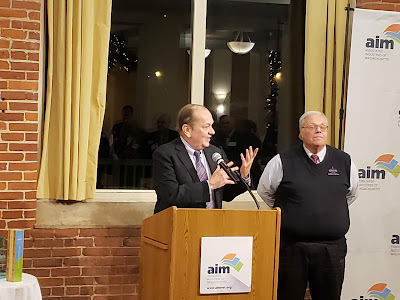 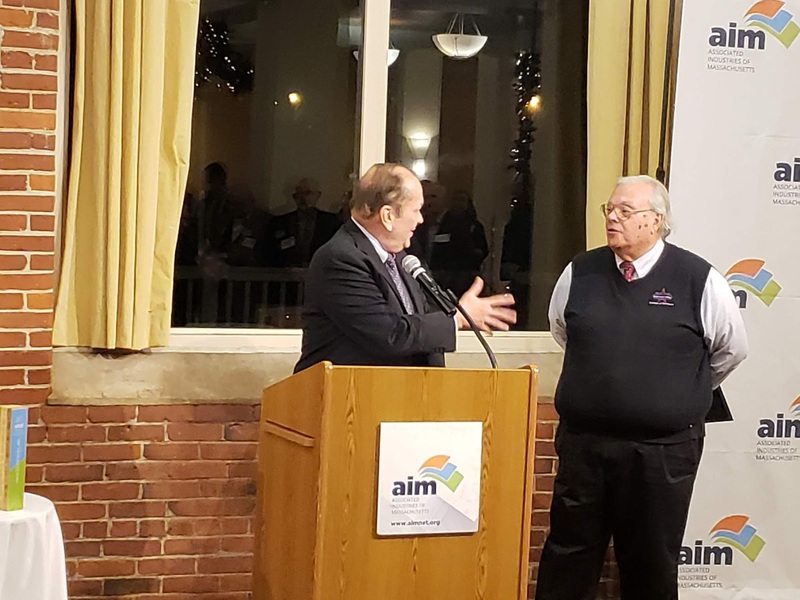 The Associated Industries of Massachusetts had its annual Merrimack Valley Regional Celebration this week in Lawrence at Salvatore's Lawrence at Riverwalk. 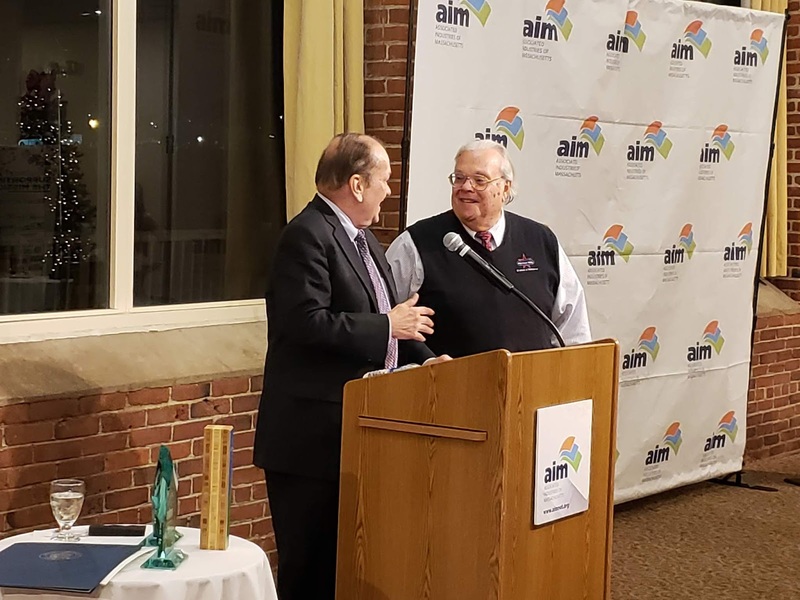 This annual event honors Merrimack Valley employers for their unique contributions to economic opportunity in the Commonwealth. 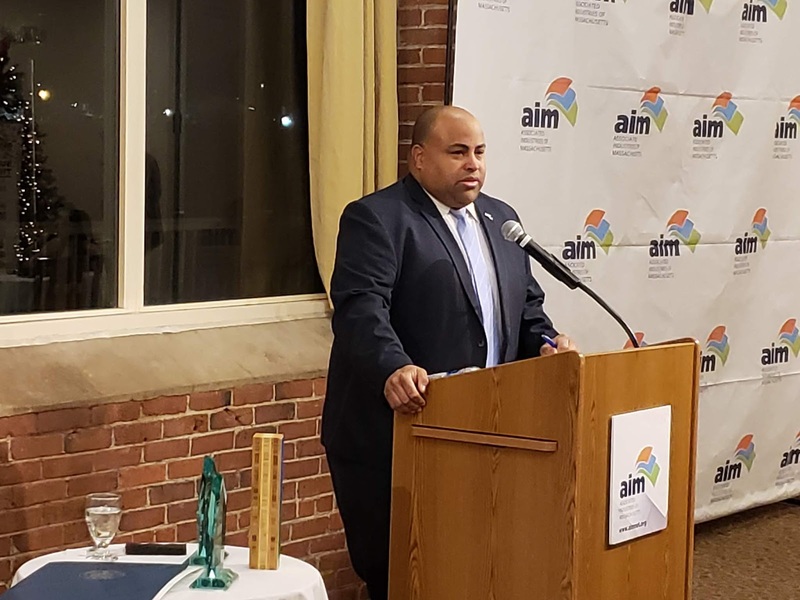 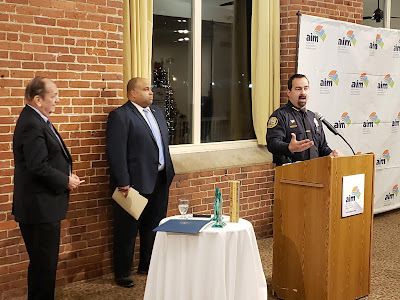 One of the components of the evening is a brief awards ceremony – including a Sustainability Award, which was presented to Analog Devices, Inc.. Analog has a Wilmington campus of six buildings for offices, semiconductor manufacturing, laboratories for research and a central utility plant. Following a newly implemented major efficiency effort the company has saved more than $1 million of annual savings in electricity costs – a 34 percent reduction in usage, and a 19 percent spending reduction on chemicals. Their efforts included changes to a host of other practices from shipping logistics to reducing nighttime lighting.